WE WON at the Restaurant & Bar Design Awards! 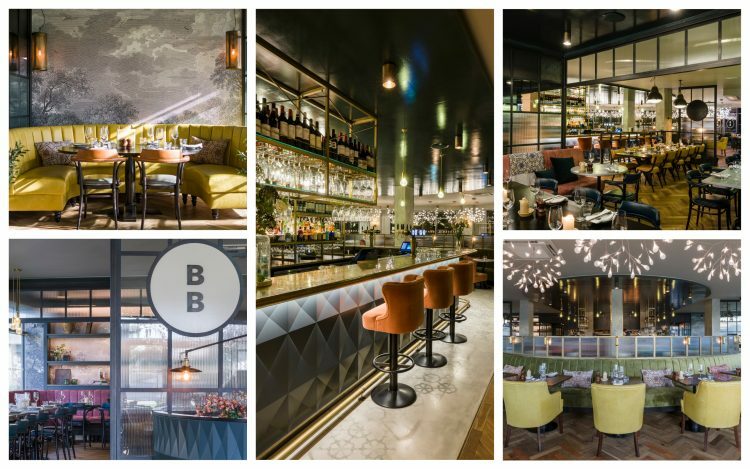 We’re delighted to announce our gorgeous Fulham brasserie WON Best Multiple Restaurant at the Restaurant & Bar Design Awards! Our wonderful in-house designer Inge attended the ceremony to collect her well deserved award. Our Fulham restaurant opened it’s doors last summer and sits on Hammersmith embankment, where you can enjoy beautiful views of the river. Former home to the Haig distillery, we’ve worked to incorporate this history into the design of our brasserie. Inge worked alongside Jordan Littler to create a stunning glass fronted haven, perfectly balancing a chic relaxed brasserie atmosphere with modern design features. Beautiful hanging lights mimic the curve of the building and Lee Broom Decanter lights are a nod to the history of the area. Complete with plush furnishings and hand painted finishes, our Fulham brasserie and this amazing award is a sign of things to come when it comes to the evolution of Brasserie Blanc. To visit our stunning Fulham brasserie, click here.